I’m linking up with Walking in Memphis in High Heels. 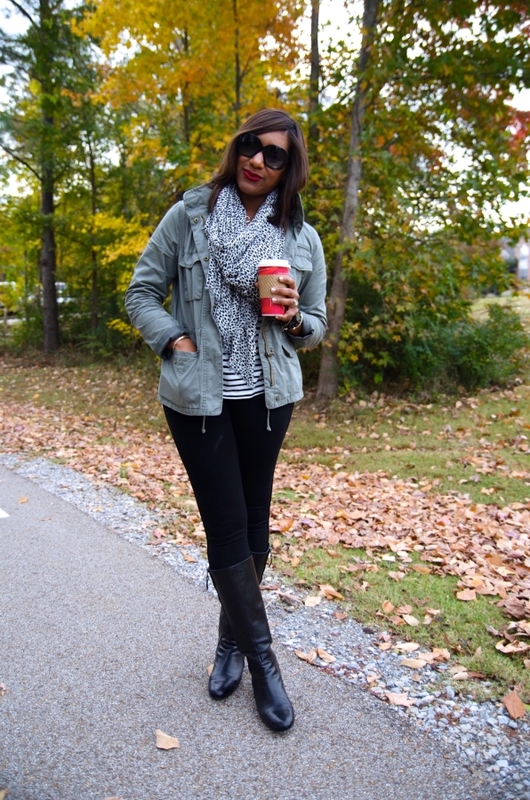 According to Q, army green is a great neutral, and fall is not fall without a utility jacket. 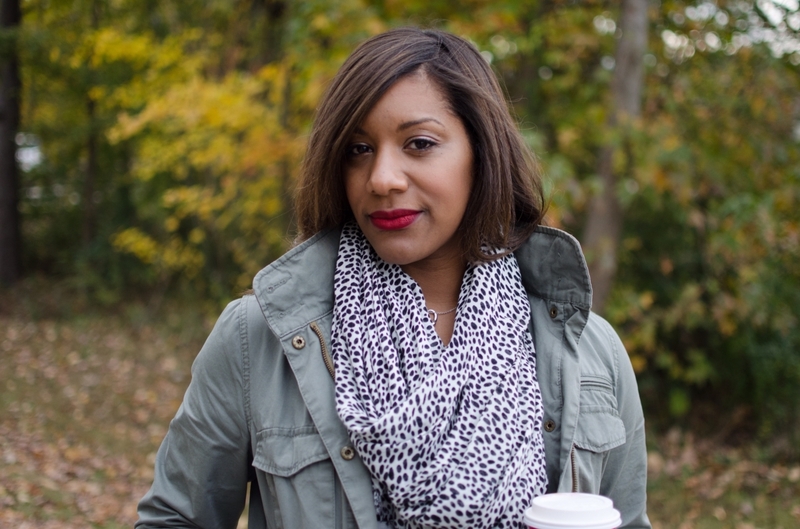 A basic color palette, like black and white, can be enhanced by adding a utility jacket with a pop of color. 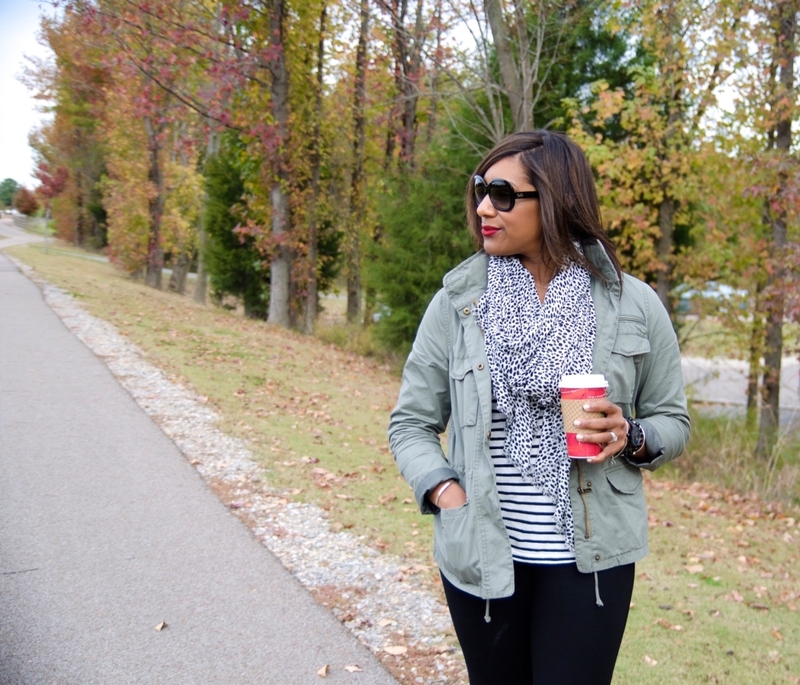 My utility jacket will continue to be in heavy rotation, and next time I might try a pop of pink! Very Fall!! I love it, you look super cute and comfy! It was super comfortable! Thank you! 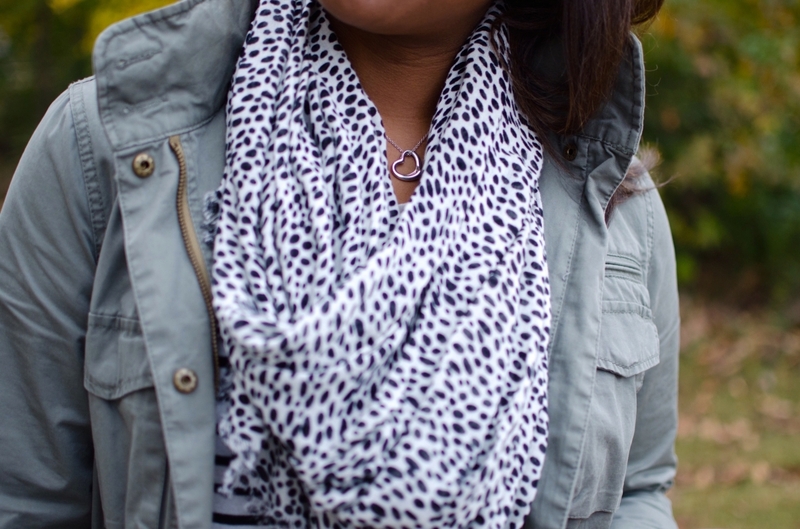 You’re welcome…I swear the best fashion makes an appearance during the Fall & Winter.